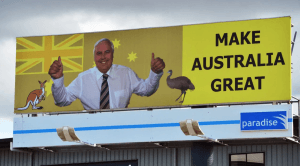 The following is an open letter to Clive Palmer, inspired by those big yellow billboards. You probably know that the denizens of this nation are tired of ‘politics as usual’ – or, at least, we hope by now that you are aware of this reality. After clamouring to the top of the hierarchy, our leaders’ lust for power has led to their ubiquitous adoption of empty slogans and clichéd platitudes. It’s now rare to see ‘discourse’ beyond this level at the highest echelons of government. This surface-level, appearance driven apprehension of social life stifles any meaningful conversation before it can be expected to begin. The conversation is directed with the intent of confusing and alienating the public from the processes of politics and decision making before they can participate. What’s more, the competitive environment of parliament leads to a deflection from the root problems, as one parliamentarian speaks over the top of another. This, of course, is ideal for the parliamentarian/s, who use this chaos and dysfunction to create and maintain policies that promote their own social position and aggrandise their corporate buddies – that is, over the interests of the public they are meant to serve, in the long run. At any rate, the cynicism Australians feel towards politics has not emerged from nowhere. Rather, it has been actively forged in what we call ‘democracy’, but is more accurately known as the practice of ‘statecraft’; the wielding of power, which necessitates coercive control. Speaking of coercion… citizens were recently forced to watch in horror as big, yellow billboards with your smiling face popped up all over the place. Amongst the various messages scrawled in big, black text included the phrase ‘Make Australia Great’. Which, I mean… great? Not only does this prove to be a particularly uninspired play on Trump’s ‘MAGA’ campaign, it’s also just as vague in practice (if not moreso). This sort of sloganeering, void of all content, feeds into a realm of social life we might call ‘the spectacle’, where the abstract, non-living expressions of our socioeconomic system perpetuate themselves in the everyday lives of human beings. This is done through the act of ‘fetishisation’. The concept of the Spectacle was first developed by Guy Debord in his 1967 book, ‘The Society of the Spectacle’. The spectacle, in Debord’s words, lies at the heart of the real society’s experience of unreality. It finds its source in how we construct our material reality in order to sustain systems of power and hierarchical control. The spectacle is both its own goal, as well as its outcome. It stands as a cultural representation; a series of images displayed to us as passive receivers, with the content ultimately detached and estranged from its ‘real’ context of meaning. By ‘fetish’, we aren’t talking about anything that requires incognito mode. We are talking about the life of mystical abstraction within which our systems order themselves. We are talking about the commodification of culture; the largescale production of artificial wants, needs and desires, and the appropriation of organic, already-existing ones. Thanks to the expansion of the market into all realms of social life, the logic of capital is beginning to seep deep into our unconscious thought processes. 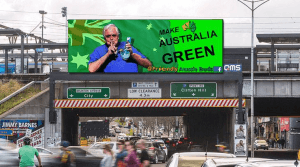 You, Clive Palmer, are participating in this fetish phenomenon with your giant, obnoxious billboards – however unconsciously – because you have an active interest to increase your social capital. You benefit from being a mainstay of Australian society, much in the same way that Trump is in the United States. It’s no different with your online presence. 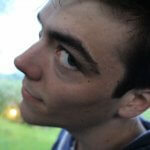 You want to be a meme, so that you may propagate and spread. This isn’t to say you’re a bad person, Clive; just that you’re a prime example of an individual working in a culture of narcissism, empowered by a system of capital accumulation. Attention, after all, is currency in the marketplace of ideas. Now, F.A.B. admits that we, too, participate in this phenomenon of ‘cultivating identity’ (to an extent). We’re left without much of a choice as it stands, since the systems within which we live and operate encourage particular behaviours and punish others. ‘Stoner culture’ in general is a fantastic example of what we are talking about here; a community of consumers that can be moulded and marketed to in certain ways. Give it some consideration, Clive. 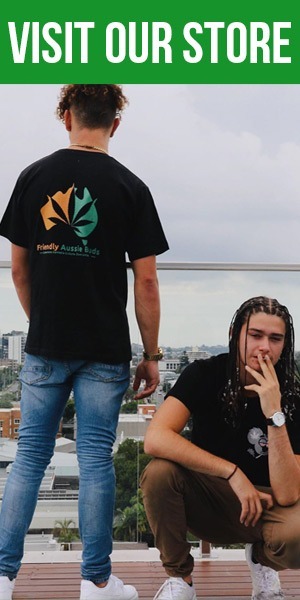 After all, you could be the face of cannabis legalisation.